Buying your first homeis an exciting step. Here is a quick round-up of the most important things to think about when buying your first home, which will help you on your way to becoming a first-time homeowner. Before you start your property search, it's important to understand what you can borrow from a mortgage lender. This amount is calculated by looking at what your household income will be and the size of your deposit – the amount you can borrow will vary from lender to lender and the interest rates will vary too. We can offer you free, impartial mortgage advice. Using a mortgage broker makes things simpler, as they are able to show you a range of deals rather than having to search for them yourself. Start out with an open mind. While you may have your heart set on a particular area, perhaps because you've been renting there for a while and have got to know it so well, don't be too disappointed when you realise that it's not somewhere you can afford to buy. Go to see areas that you've not been to before, test your commute to work and listen to your estate agent when they make suggestions. Lots of buyers will eventually buy in an area that they hadn't even considered at the start of their search, because they have been open to finding out what different neighbourhoods have to offer. An area might not be as bad as you imagine. 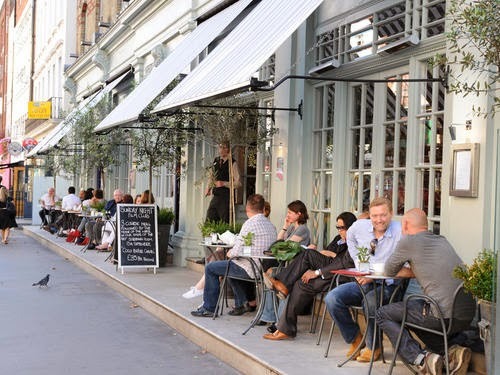 Watch out for those little signs…cute little cafes popping up, more upmarket restaurants appearing and trendy boutiques. It's easy to get swept up by things like the finish and the space when buying your first home, but often the numbers do the talking. If you're stepping onto the property ladder for the first time, your first purchase doesn’t need to be your forever home and sometimes buying what you can afford now is critical for being able to afford what you actually want in the future. Don’t overstretch yourself and work within a reasonable budget – it's better to live in a smaller place further from work and still be able to enjoy your social life, rather than struggling to pay for a property that you just can’t afford. Buying a property is a big deal. It requires a contract that you must abide by and if you want to sell up, it's not always quick or simple. If you're purchasing a property with another person, you should consider the long-term commitment that is required and how you might divide ownership of the property when you sell – although buying with someone else probably means that you are able to afford something bigger. Be aware that you will have to pay for things like your solicitor's fees before you complete on your property purchase. This means that you must have the money readily available in addition to your deposit. From November 2017, first-time buyers purchasing a property up to the value of £300,000 are exempt from paying Stamp Duty and will pay an adjusted rate up to £500,000, which means that many of you will be making a saving. Once you have made an offer on a property, there are many things that need to be taken into account that will affect how long the process will take. If you're in a chain, you're reliant on everyone else to keep to the timescales. But it doesn't always go to plan or as smoothly as you'd like, especially when you have to factor in solicitors, surveyors and local searches as well. There are many more things to think about when buying a property, but these are the main points that you should consider before taking the plunge! If you would like some more information on buying your first home, including mortgage advice, contact us today 02890653111.